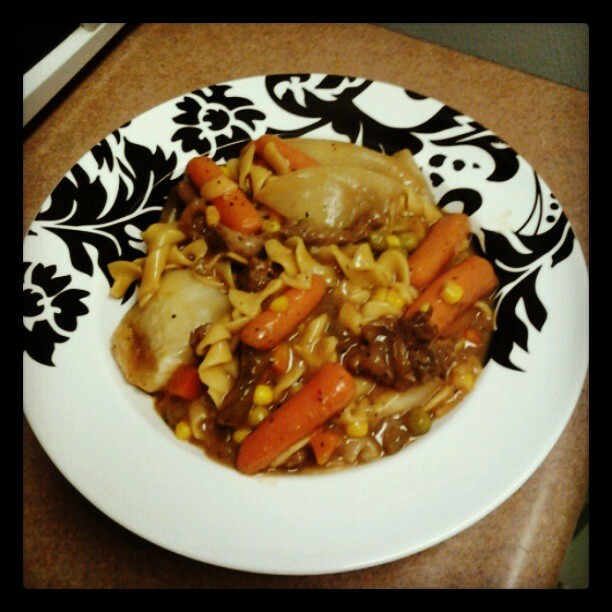 This beef stew was made with Dollar Tree grocery ingredients. (Some Dollar Tree locations now have freezer aisles & canned/dry goods.) My paycheck has been a over $100.00 short lately because of the US Government Sequestration. So, I've had to come up with some cheap but filling dinner ideas. Egg Noodles from Dollar Tree 12oz bag. (Only use half the bag & don't add them until the last hour). 3 packages of frozen Rib Eye steak meat from Dollar Tree 3oz each. Cut into small pieces. 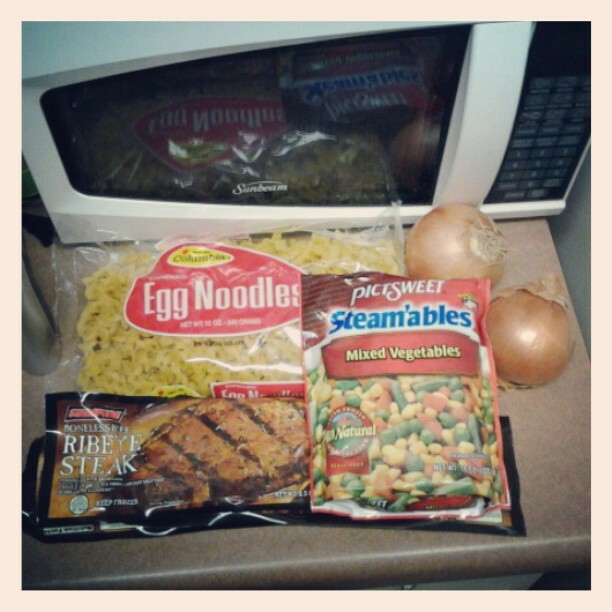 I mix my sauce first and whisk it together in a large bowl, then I pour it over the meat & veggies in the crock pot. Stir everything together. 3 tablespoons of Flour (Whisk into sauce). You can add whatever veggies you have laying around, I had half a bag of baby carrots left over, so I put those into the stew as well. If you're looking for a regular Crock Pot Beef Stew recipe click here. My Dollar Tree is Freaking Amazing! * Everything was purchased by myself, I am not affiliated with Dollar Tree.